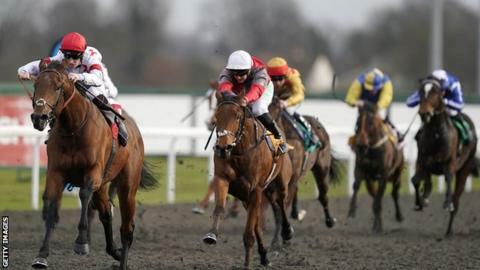 An outbreak of equine flu has forced the cancellation of all British racing until February 13 at the earliest, after three horses tested positive for the virus, despite having been vaccinated against it. Donald McCain has confirmed three horses in his yard have tested positive for flu, but is unsure as to how they contracted the virus. A spokesperson from the BHA said: "This precautionary approach is meant to ensure we put the health of the horse population and control of the virus first, and avoid any unnecessary risk that might come from returning to racing too quickly". A decision will be made on Monday. Equine flu is a highly contagious viral disease which can affect all equine species. With McCain-trained horses running in Britain this week that potentially exposed a significant number of horses from yards across Britain and in Ireland. All roads lead to Cheltenham for racing's participants and punters but there is every hope the year's most important meeting will go ahead next month given that the mass vaccination already sanctioned by the sport should ensure the action on the Turf resumes before then.